Netflix allows subscribers to indulge in thousands of documentaries, movies, television shows, for countless hours, from a seemingly endless library. The "Binge watch" has become a household phenomenon and Netflix wanted a way to take the binge watch to the next level. I created a free, monthly, publication for subscribers. Each publication focuses on a specific genre and showcases in-depth interviews, analysis, facts, and photography pertaining to various movies, directors, and television shows that fall under the specific genre's umbrella. 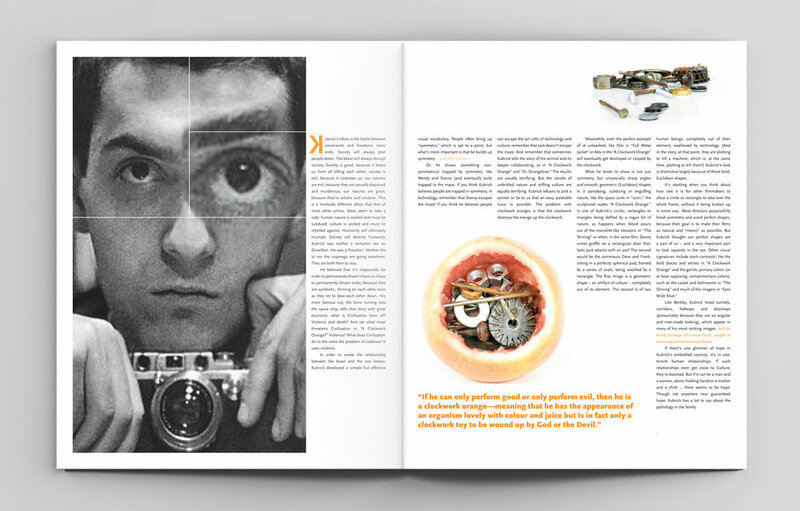 This publication will stand out from other "cinema" based publications via the photography and design. 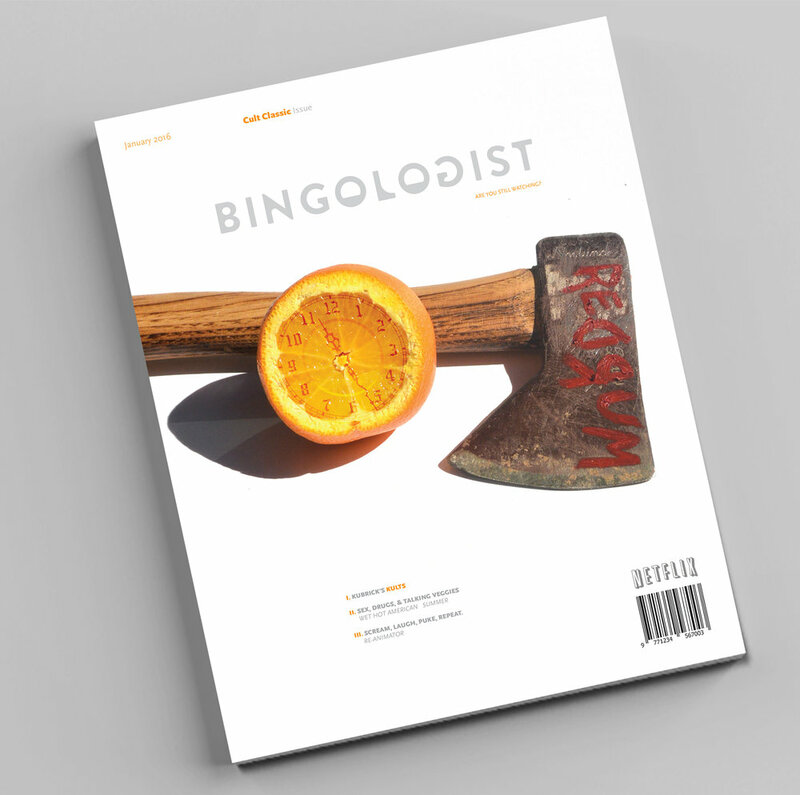 Rather than showing movie or television stills, the bingologist's photography takes a more artistic approach. The photography can be classified as strange, controversial, and thought provoking. It's meant to mimic binge watching by keeping the viewer curious as to what they will see next as they turn the page. i wanted this design to be clean and modern. the color scheme is based off stanely kubrick’s film 2001: a space odyssey. the whites and greys keep it modern and allows the orange to really pop. the typeface used is scala-sans. its easily readable and contributes to the clean modern feel.